Each school grounds and locality are unique. The PODS team are available to provide bespoke advice and support to schools regarding accessing and developing a suitable site for regular use. This may be in the form of a visit from one of PCNPA Rangers or our coordinator. In addition to this, we run free training on relating to site development and outdoor learning activities linked to Areas of Learning. To become an effective Outdoor School it can be helpful to self-evaluate your situation and create an action plan of priorities for whole school development. To aid this we have developed a PODS self-evaluation tool. It helps if there is one designated member of staff to act as a point of contact for the PODS team. This might be, though not always, the Eco School, Sustainable School or Healthy School Assessor. However, it can be any enthusiastic member of teaching staff. A lot of schools have an area of grass that is a ‘blank canvas’. These areas can be developed and diversified to support a range of species and habitats. Features can be incorporated, on a tiny budget, to provide opportunities for children to keep fit, areas for contemplation, shelter, imaginative play and much more. Other schools have great sites in their village that can be accessed safely and quickly on foot. Others connect to a network of footpaths and short circular walks providing a range of learning opportunities. It helps to have a OS map that covers your area. PCNPA rangers often have great local knowledge and contact with local landowners and farmers, and can help you find sites that will work for you. Other partners such as Darwin Experience, Field Studies Council, Farming and Countryside Education and the National Trust may be available to visit and help you with ideas and resources related to your chosen site. 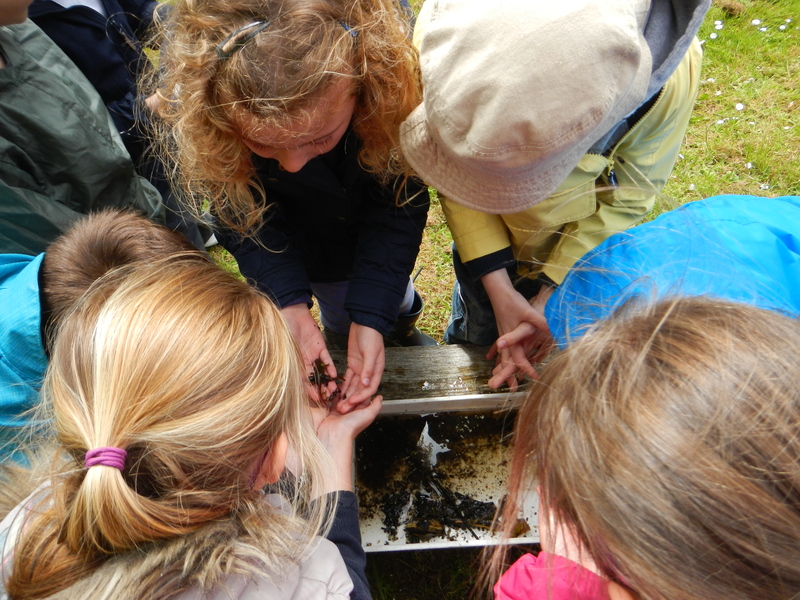 Health and safety and safeguarding are paramount in establishing a culture of outdoor learning at your school. We can offer support and guidance in carrying out a risk assessment for your chosen site. Have a look at the safety checklists below for some pointers. As the famous explorer Ranulph Fiennes says “There is no bad weather, only inappropriate clothing.” Wales has a high level of rainfall, cold weather and occasionally sunshine. Therefore, ensuring pupils and staff have suitable footwear, warm and waterproof clothing will extend your opportunities to be outdoors no end. Having the right equipment to be outdoors in a variety of weathers doesn’t need be expensive or complicated. Click here to find out about a good basic kit. An essential part of becoming an outdoor school is gaining support from various stakeholders. Good communication, enabling staff and parents to fully understand the benefits of outdoor learning, will aid the development of a shared vision, ethos and commitment. Ultimately, it will ensure your school can become a strong and successful outdoor school in the long-term. 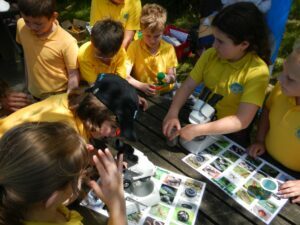 There are many ideas of activities to undertake in an outdoor environment that cover aspects of the National Curriculum. See our Resources section for ideas, lesson plans and links. However, not all sessions outside needs to involve activities directly linked to the outdoor environment. PODS promotes a ‘think green’ approach, and encourages the question why not outdoors? Green time has been shown to have so many positive effects that unless you need to use very specific indoor equipment, there is often no reason that children cannot carry out their work outdoors. For example, the outdoors provides an excellent place for collaborative group work, reading and creative activity. The opportunities are endless!